November 20th is Universal Children’s Day. It marks the day on which the United Nations adopted the Declaration of the Rights of the Child in 1959, and the Convention on the Rights of the Child, in 1989. In 2000, world leaders outlined the Millennium Development Goals (MDGs) which aim to reduce extreme poverty, halt the spread of HIV/AIDS and provide universal primary education by 2015. 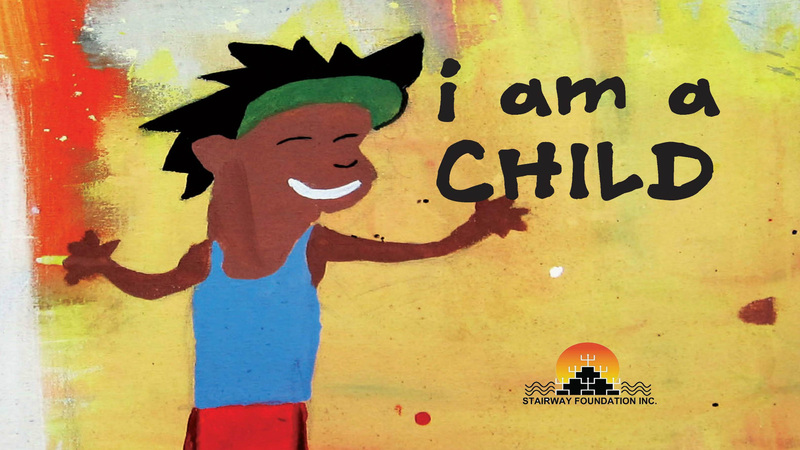 I am a Child is the latest creative advocacy initiative produced by Stairway Foundation in recognition of Universal Children’s Day. Beautifully illustrated with vibrant paintings, that were created by children in Stairway’s programs, I am a Child perfectly captures the essence, vitality and beauty of children. I am a Child will surely delight children and adults alike.